Clinton Carr, serves as the humble Pastor of Zion Temple COOLJC of Pratt City, a suburb of Birmingham, Alabama & interim pastor of Heaven Bound COOLJC of Brent, Al, where he serves as a servant leader. Matt. 20:28: “Even as the Son of man came not to be ministered unto, but to minister, and to give his life a ransom for many." He has served in various capacities in ministry for over 30 years. For the past 15 years he has been a preacher, teacher, and civic leader of the community. He is a native of Bessemer, Alabama and currently resides in Birmingham, Alabama with his wife of 31 years. They have two sons together, Clinton III (Trey) and Alexander (Alex) Carr. Zion Temple (formerly known as Little Zion) has been home for Pastor Carr since October 1985. On October 21, 1985 he received the baptism of the Holy Spirit. On April 22, 1989, Brother Carr was ordained to the office of a Deacon under the tutelage of District Elder McWallace Williams, Sr. Deacon Carr served faithfully under his spiritual father. After the death of his beloved pastor in July 1990, Deacon Carr had a motto that he lived by, "as you served the father, also serve the son." Deacon Carr was authentic in serving the church and his new pastor, Elder McWallace Williams, Jr. It was under his leadership and spiritual guidance that he began to be sharpened and groomed for an even greater capacity of service. 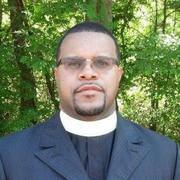 Pastor Williams appointed him as church clerk and as superintendent of the local Sunday School. After resisting for a while, Deacon Carr finally accepted the Lord's call into the ministry in 1992. He was ordained a minister and on May 24, 1992, Minister Carr preached "Love Lifted Me" from John 3:14-16 and John 12:32-33. Over the next few years Minister Carr was trained and taught by his pastor as a minister of the gospel. He enrolled in correspondence courses at the Church of Christ Bible Institute of New York and satisfactorily completed the required studies as prescribed by the Church of our Lord Jesus Christ of the Apostolic Faith, Inc. He was awarded a certificate in Ministerial Training on July 14, 1995. In August 1995, Minister Carr was ordained to the position of Elder. He was appointed Assistant Pastor. His desire was to be the best Assistant Pastor and to esteem the gift with which the Lord had blessed the church. In 2000, the church name was changed from Little Zion to Zion Temple. In July 2001, the Lord called his humble servant, Elder McWallace Williams, Jr., home. After much prayer and fasting Elder Carr accepted the call and was appointed Pastor by the Alabama Diocese State Bishop, Bishop Milton H. Hill in August 2001. Pastor Carr received his associate’s degree in science from Faulkner University and his linkage degree and certificate from the UAB SHRP. He received his bachelor's degree from Samford University and a Master's of Arts degree from Birmingham Theological Seminary. He received an “Honorary Doctorate of Divinity degree from Saint Thomas Christian University and his Doctorate of Ministry degree from Andersonville Theological Seminary. He was also awarded a certificate of Christian Ministries from the W. L. Bonner College located in Columbia, SC. He currently serves as Vice-Chair of Region VII Planning Committee of Alabama/Georgia, committee member and Secretary of the Road to Ordination of the IBOP of the COOLJC, community volunteer of Hands on Birmingham, and avid supporter of Brother Bryan Mission Community Organization.